As part of his role as Industry Associate for the Cultural Enterprise Office, Giles Etherington has completed brand creation sessions with Fashion Foundry’s latest Emerging Designers. 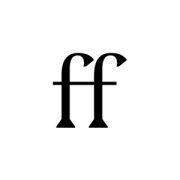 Fashion Foundry, founded in 2012 by the Cultural Enterprise Office (CEO), is a sector-specific fashion and textiles business incubator and talent hub to support the creative and commercial development of the fashion sector in Scotland. It provides business support for fashion and accessory designers in Scotland. Supported by Creative Scotland, the programme focuses on accelerating the growth of talent in fashion and textiles for the apparel sector in Scotland, with a specific focus on the international luxury goods market. To date, Fashion Foundry has supported the business development of 21 brands through our Emerging Designer studio residency programme. Emerging Designers are paired with a creative mentor and coach chosen to help provide a tailored programme of support allowing the designer time, space and industry expertise to develop their brand and build their business. Giles is CEO’s Industry Associate for Brand & Branding. This role extends to helping Fashion Foundry’s Emerging Designers with brand and branding advice at this vital stage in their business development. Giles worked with 6 of the 7 designers from last year’s programme. “I have done a lot of these sessions and it never ceases to surprise me how much the advice I give can differ from one session to another. Here are three designers at a very similar stage of their business. But my advice on the next steps for their business/brand, by contrast, varied considerably. NADIA-STUDIO is a small, independent, accessory studio based in Glasgow. Aesthetically, we draw upon a mixture of Eastern and Western influences that underpin the design process. Small-scale production is at the centre of NADIA-STUDIO, which means minimal waste and a sustainable alternative to mass production. Rosella May is the fresh and pioneering voice bridging the space between creativity and social issues, through a denim focused lens. The young designer created her eponymous brand during her time as a denim designer for Calvin Klein in Amsterdam, and for SS19, has collaborated with Scottish Association for Mental Health, on the ‘Stigma’ collection. Through her design work, Rosella seeks to highlight the stigma that surrounds mental health and incite conversations, to begin to break down negative perceptions and misunderstandings. Hayley McSporran is a womenswear brand focused on the construction of a modular wardrobe. With an understated femininity and a play on functionality, Hayley McSporran creates considered pieces that draw influence from sculptural forms. Contemporary cuts, volume and an element of playfulness form the foundation of our collections.